Maybe you’ve just moved into a new construction build, or you’ve already been in the same home for a while. When you have regular home maintenance tasks that are more obvious, such as mowing the lawn or vacuuming the carpet, some are less visible but should be on your radar. One that you should take note of especially is maintaining your roof. The Roof Authority in Fort Lucie is a commercial and residential roofer who can provide service and maintenance. Contact us to come by every year, and we can save you the cost of a new roof over the long run. To get a quote, contact us today! 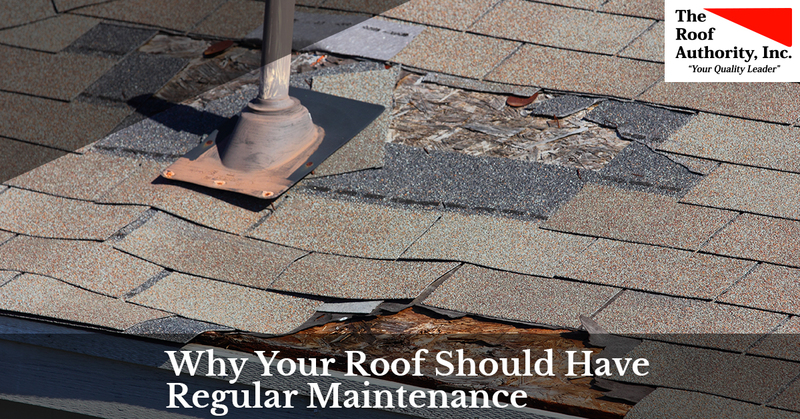 If you’re on the fence, read on to learn more about why regular maintenance is so important. Because you likely don’t hop up on your roof often, you probably won’t be aware of any issues…until you have a leak that ruins your living room. It’s not a great way to find out that something has gone awry, to say the least. But when you have a home roofing contractor stop by to perform an inspection, they can find these issues before the damage becomes serious. A small crack can erode over time, especially when exposed to hail, hurricanes, and the rays of the sun. But when you catch that early and perform minor repairs, you’re saving the cost of a new roof later on! Move that maintenance appointment up if you’ve had a recent hurricane or major storm come through the area. Although damage might not be apparent right away, it’s the little things, like rain that’s been blown between shingles, that can lead to mold, erosion, and leaks. Debris like leaves, dirt, and twigs can also make their way between shingles, causing damage that likely isn’t visible to the untrained eye. We live in a pretty humid climate here in Fort Lucie, and even when the weather is gorgeous, that humidity can cause its own damage. We mentioned mold already, and it bears repeating that mold is something you don’t want to form on your roof! It’s not only detrimental to your structural integrity, but it can cause serious respiratory effects to you and your family. We can perform a moisture survey to detect moisture in a number of ways, and determine if there is any action to take. Quick: do you know what the terms of your roof’s warranty are? If not, you should get that document and read it right away. One of the requirements of meeting the terms of the warranty could be to have yearly maintenance performed. If you haven’t been doing that and something goes awry, your warranty could be void. You’ll have to pay full price to your residential roofer to get things fixed, and the cost of a new roof can be not exactly what you had anticipated. To schedule your roof inspection, contact your home roofing contractor, The Roof Authority. We are Fort Lucie’s Top Rated Local residential roofer, and look forward to serving you. Contact us now!